Our aim is to achieve a higher priority for the education of children from birth to 13. High quality learning in the early years of life is vitally important to the creation of an educated society. Young children are not simply preparing for the future, they are living a never to be repeated time of life and the best way to learn is to live. Primary schools should be centred upon the characteristics of childhood. The children are not miniature adults and they see their expanding world, think about it, develop ideas and acquire skills to deal with it in distinctive ways appropriate to their early development. Teachers who specialise in the education of the young should be trusted to use their judgement in matching learning to the individual needs and responses of the children. They have a vital role alongside the child in supporting and structuring learning. Underlying primary pedagogy is the knowledge that young children learn best through their own fully sensory experience. Ideas are drawn out of personal experience and then held in the mind. Skills, which are always based upon ideas, are best learned in action as they are needed in life. An invitation to join us. Because everyone who shares time with a young child is to some degree a teacher our membership is open to all who are in broad agreement with our principles. We believe in a strong and continuous partnership between parents and teachers. Members become part of a national network which has effective links with all other voluntary associations working to improve the quality of early and primary education. Teachers, heads, parents, carers, students, school governors, teacher trainers, nursery nurses, teaching assistants, administrators and consultants — all are welcome. The network’s activities are expanding both locally and nationally. Members are kept in touch through our newsletter, NAPENews and the journal, Primary First which is posted direct to members and available both in paperback and on-line. The NAPE website is updated regularly and critical comment including members’ views on current issues are publicised. We are fully involved in Twitter and Facebook and post regular podcasts. Conferences and Trade Fairs attract substantial attendances. The National Office maintains a 24/7 telephone helpline and a members’ directory so contact is always available. The journal is the only exception to the maintenance of communication by telephone and on-line. The prime focus of our work is in line with our principles, that is to say the education and upbringing of children in their earliest years and not the bureaucracy which invades current life. Administration, kept as simple and swift as possible is undertaken by volunteers who serve pro bono on the National Council and the Executive. Members who feel able to contribute to the smooth running of the association are elected or co-opted to serve on the Council. Undoubtedly, membership of NAPE enhances and contributes to the professionalism of all who join us. The first primary schools in the nineteen thirties were little more than elementary schools concerned with equipping their pupils with a thin diet of the 3Rs. Enlightenment was to be found in the nursery schools established to enable the mothers to work in mills and factories. But it was from these roots that the evolutionary development of primary education began, reaching higher and higher up the primary age range and culminating in the successful child centred schools of the sixties and seventies which were commended and celebrated by the Plowden report. 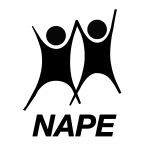 NAPE was established in 1980 when it had become clear that politicians intended to intervene in our classrooms on the grounds that the national economic interest required a return to the elementary schools of the past. Since that time the association has fought hard to preserve the true quality of primary education which puts the children first. We have been supported by findings from psychology and child development and more latterly from neuroscience and so strong were the ideas and the practice of the Plowden years that they remain implicit in the practice of many primary teachers. This is in the face of harshly imposed political legislation which insists that the worth of primary education to a child must be measured by the result of a few hours testing of core skills. The poverty of the political view is summed up by the frequent statement that the purpose of primary schools is to prepare children for the secondary stage. We know, and every member of the association knows, that education is much more than that — it is the fulfilment of every child’s potential to learn, not only cognitively but physically, emotionally, and creatively with the core skills embedded in the reality of the time of life called childhood. We are in frequent touch with government and in partnership with representatives of subject associations have meetings with officials and politicians. NAPE is always consulted regarding changes in political policy. Similarly our contacts with the media are strong and effective; press releases are issued and interviews both in person and by telephone are provided. Our 24/7 phone helpline is particularly appreciated by the media who know they can always be sure, even at the inevitable short notice, to secure the primary point of view. Members alongside the children in their schools can be confident that the association is speaking for them and that the view from the classroom is vitally important in shaping NAPE’s position when we are representing primary education. Hard copy of our journal, Primary First, each term. Telephone and email helpline 24/7. Representation of primary interests to the media through media releases. Representation of primary interests through officers meetings with Government Ministers. Reduced price entry to NAPE events and conferences. Annual Festival of Children’s Voices. Involvement in local NAPE associations whenever geographically convenient. Joint membership with other associations.